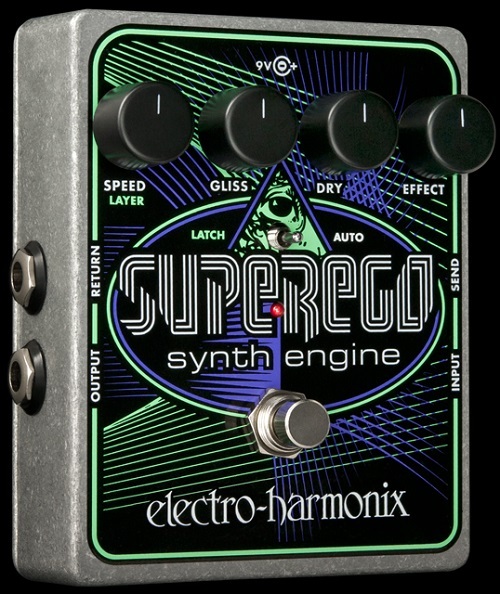 The polyphonic SUPEREGO Synth Engine from Electro-Harmonix reinvents sample and hold, performs fluid glissandos and creates oscillator like, synthesizer effects. It can stack sounds or create infinite sustain, it even lets you tweak attack and decay, or use its effects loop to invent novel synth patches. Indulge your guilty pleasures!